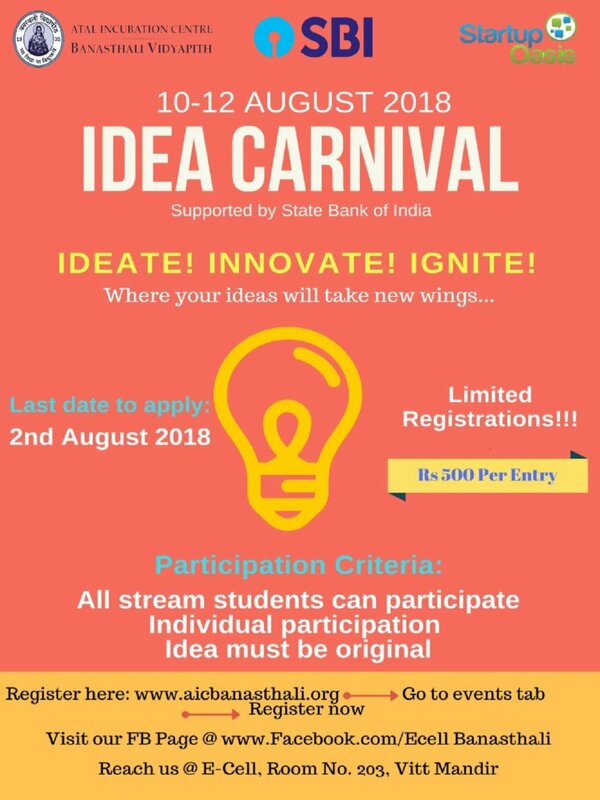 Idea Carnival 2018 is a 3-day event where we bring together aspiring entrepreneurs to turn their idea into reality. It’s an action-packed platform to share your ideas, form your teams, develop your product and learn the nuances of the market. An exciting journey that offers to learn by doing, exploring the opportunities and synergy of networking with students from different streams. Participation fee Rs. 500 per person to be deposited once you are selected. You should have a unique, innovative business idea that brings social and/or commercial value. 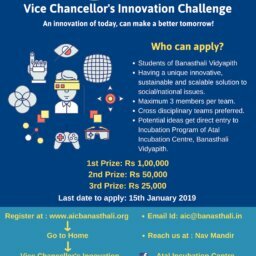 Out of all the ideas received from the participants, the best ideas will be selected to participate. Students will be selected from all the streams to have cross-department expertise. Winning teams will get exciting prizes.